This Yellow Matte hybrid sportscar was spotted in the Netherlands and judging the by the window stickers is owned by the Dutch tuning shop, JD Customs. 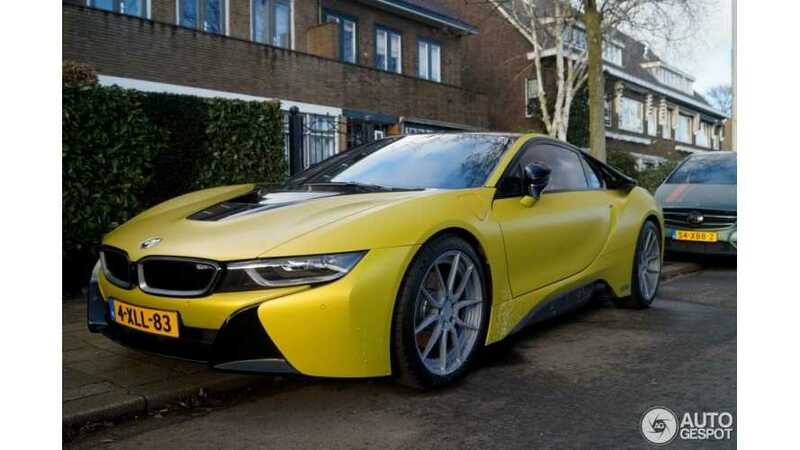 The hybrid sports car received a new yellow coat, hence the name Frozen Yellow i8. 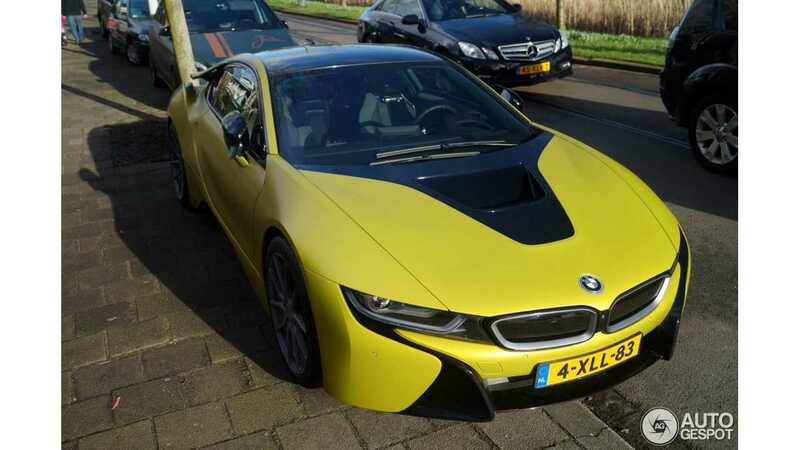 The tuning shop use a 3M Bitter Yellow wrap to give the i8 its next exotic look. Other mods include a SunGard window tint along with a set of ADV.1 wheels. The i8 remains a rare car on the road, yet alone one with a flashy paint job. As more i8s get delivered to customers and tuning shops, we expect to see other exciting paint jobs.